‘The Fringe of It’ is a weekly podcast brought to you by Olivia Purvis and Charlotte Jacklin. 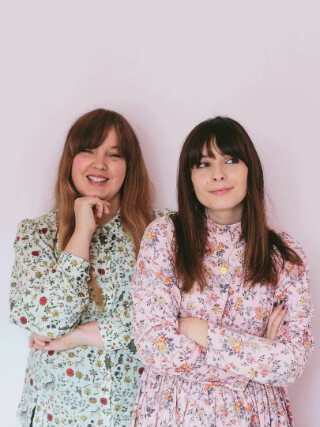 Having established a loyal audience on their blogs “What Olivia Did” and “Betty”, best friends Liv and Charlotte took the plunge in April 2018 and recorded their first episode, achieving immediate success, debuting in the top 50 of the charts and remaining there ever since. Each week the girls dive into popular topics, discussing issues such as ‘stress’, ‘body image’ and sharing practical advice including ‘career journeys’ and ‘buying vs renting’, helping their audience navigate through millennial life. Starting every episode by catching up on the weekly picks of TV and shopping, a lot of laughs are guaranteed. Wanting to create an outlet for their listeners and engage with their response to the podcast, Liv and Charlotte launched a group on Facebook where listeners can chat and share advice in a safe environment. This has led to many ‘meet ups’ around the UK and Europe. ‘The Fringe of It’ is now working with brands on LIVE podcasts recordings, both at brand events including Free People, Fresh and hosting bigger LIVE events where the audience can become part of the conversation.